A lot of people ask us this question and sometimes we feel like we are the last farm at the Carrboro farmers’ market or in the Triangle without a CSA. At its core, a CSA should revolve around a meaningful relationship involving a farmer, a set of farm members and a piece of farmland. Our efforts for three decades to create “Food with a face, a place and a taste” has been focused on creating that meaningful relationship with our customers, without the formality or complications of taking the money up front. 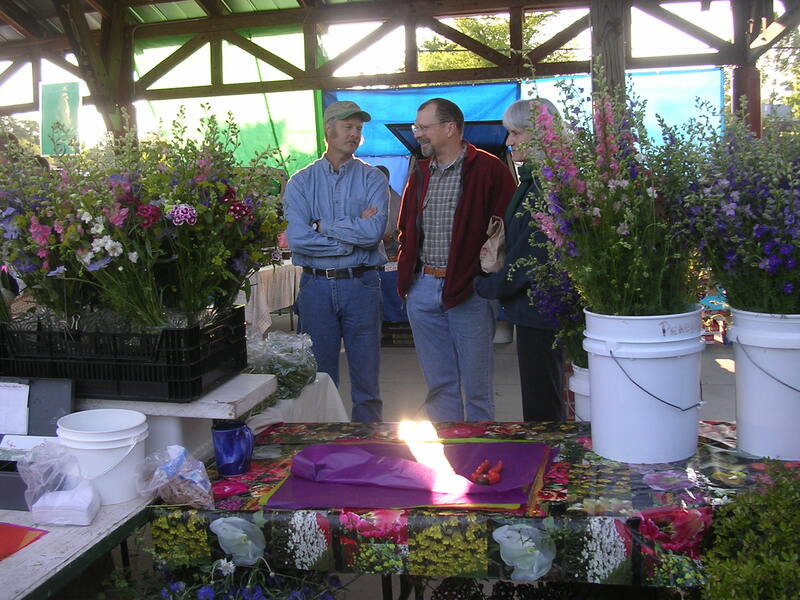 Maybe because we farm and market our products where we do, we are extra fortunate to have a very supportive community. We know we have a core set of customers that we have built meaningful relationships with. We visit at farmers’ market, in the aisles of Weaver Street Market, in the kitchens of their restaurants, at food events and more. We know what they do for a living, who their kids are, even where they go on vacation. Through our e-newsletter, the farm tours, discussions at market and now this website they know who we are and what we strive to do. In turn they reward us with their moral support and they buy our goods. It could not be more simple, direct, communal or supportive. Don’t get me wrong, I think CSA’s are a valuable part of the small/local farm landscape. They have forged new and better relationships between farmers and eaters, but kind of like speed dating. It has allowed some farms to get up and running and others to stay in business. It has given other farms an additional way to access customers who don’t have time to come to farmers’ market. That’s all good. I guess because we are some of the older rats in the barn, we have slowly and comfortably settled into our relationships and don’t feel the need to formally change the nature of those exchanges. Yes we take special orders for pick up at Wednesday and Saturday Markets, we used to take deposits and pre-orders for turkeys, both sort of CSA type activities. 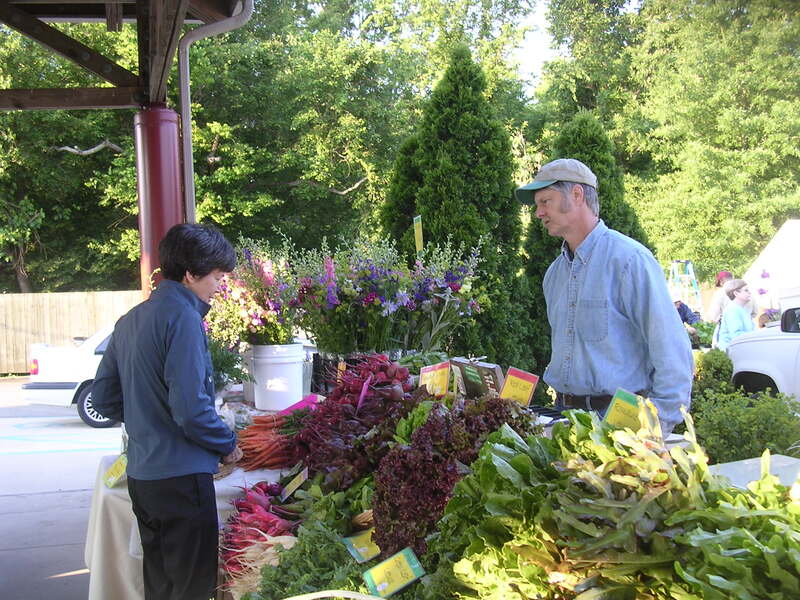 Of course our e-newsletter and the occasional recipe are also key parts of a well run CSA. So what we have decided to do is use what we think are the some of the best parts of the community building side of CSA’s without the added complication of keeping up with share payments, filling boxes, delivery and pick up, growing crops we don’t grow well just because they are viewed as essential to a good CSA mix as well as other details needed to run a CSA. Instead, we prefer the quality and flexibility of individual customer service. We also prefer to grow the crops that our customers really want and do best on this piece of land. For us it is all about a better quality of life, for us and our customers. But that’s just us.